Why not increase your productivity and save time and effort by using the great features in the premium version of the FTW Transcriber? For just $1 per month, the FTW Transcriber can save hours of your time. 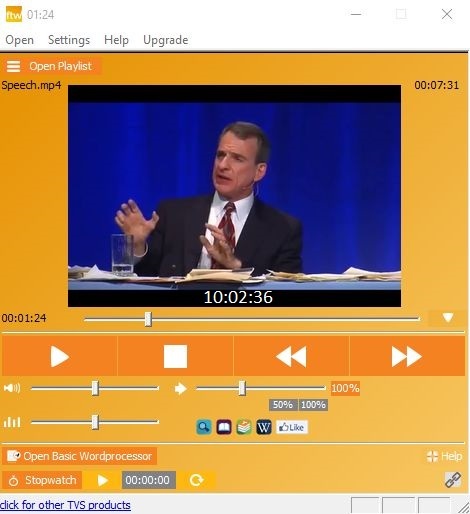 Its superior sound playback quality means you waste less time trying to make out unclear words, and its automated timestamp feature saves you many mindless hours of adding timestamps manually! With the FTW Transcriber’s premium version, you can play a file’s full length, access all the premium features, and make the FTW Transcriber ad-free and minimizable. Plus, premium users receive free support and regular upgrades with exciting new time-saving features. The license options shown below are ONE-OFF payments, not recurring payments. You must not pass your license key to others. If we see that your license key is used by multiple users, we reserve the right to cancel it. Each key can be used on only one computer. Your details will not be passed to third parties. We may contact you by email on rare occasions. You can opt out of those emails at any time. Code correct. 7% discount will apply.